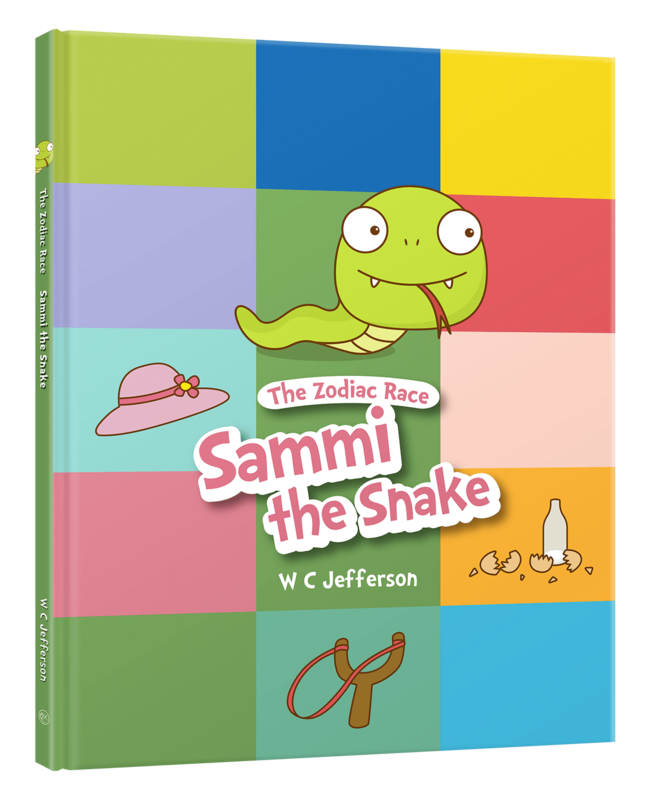 Sammi the Snake learns that with COURAGE and DETERMINATION, she can conquer the challenges she faces on the Zodiac Race. 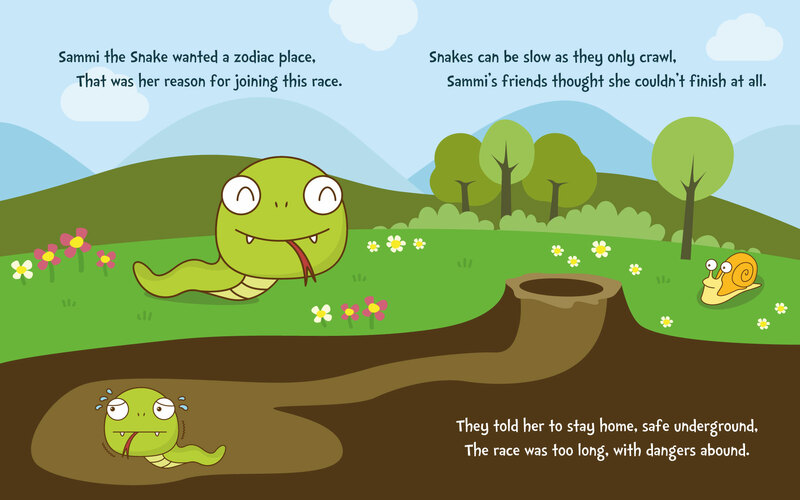 Although her friends think the Zodiac Race is full of danger, Sammi the Snake really wants to win a place in the zodiac. She decides to join and tackles the challenges one by one. With courage and determination, and a little bit of luck, she finishes the race in sixth place. She learns that while others may tell give you advice in life, in the end you choose your own path. What were some challenges that Sammi the Snake faced on the Zodiac Race? Why did Sammi decide to race anyways, even though her friends told her not to? Which obstacle do you think gave Sammi the most trouble? In the face of danger and difficulties, what did Sammi have that helped her get through? If you were the Snake, what would you have done differently? Name a person that you think has courage. Share with others why you think they are courageous. It takes courage to try something new. What are some new things that you have tried recently? Did you enjoy it or not? Share that experience with others. Doing what’s right takes courage, but sometimes it can be hard. Name a situation where sometimes pressure from friends or family made you do something you were not comfortable with. Brainstorm together and think of ways we can react in that situation. Standing up for yourself is a courageous thing to do. Name something that a bully can do, and what you can do to stand up against it. Name something that you’ve always want to try, but was little scared to do it. What could be some of the reasons that make you fearful? It takes courage to say sorry to someone. Share an experience where it was hard to apologize, but in the end you gathered enough courage to say sorry. Sometimes we just want to blend in because being different from others takes courage. Can you name one time where you decided it was more important to be different from others? How did it make you feel?